Stocking up on new things after a move can be time consuming and expensive! You either spend a small fortune doing it or you *never( do it and go without having the things you need for way longer than you should. To help, we gathered 30 starter sets that'll do the work for you and save you money. 1. An 11-piece Tasty pot and pan set with all the essentials you'll need to get cookin'! Set includes 9.5" fry pan, 11" griddle pan, 1.5 qt. saucepan with glass lid, 2.5 qt. saucepan with glass lid, 4 qt. deep cooker with glass lid & helper handle, 6 qt. Dutch oven with glass lid, and a recipe booklet. This set is dishwasher-safe! Get it from the Tasty collection at Walmart for $99 (available in three colors). 2. A refrigerator organization set to start off on the right foot with an organized fridge. Set includes one egg holder, one drink can holder, two wide trays, and two narrow trays. Get them from Walmart for $34.99. 3. A 19-piece Tasty kitchen utensil and gadget set with a rainbow of tools for fun in the kitchen. Set includes an emoji timer, 10-piece measuring spoon and cup set, two-piece 12" silicone spatula set, whisk, two-piece tongs set, and three-piece strainer set. Get them from the Tasty collection at Walmart for $33.45. 4. A set of 24 organic spices because buying spices individually can add up but this set will have you whipping up delicious meals in no time for way less money. Set includes nutmeg, herbes de Provence, onion powder, cilantro, thyme, cinnamon, sesame seeds, ginger, coriander, chili powder, garlic powder, Italian seasoning, rosemary, basil, oregano, curry powder, turmeric, crushed red pepper, black pepper, cayenne, all-purpose seasoning, chipotle pepper, cumin, and dill weed. Get them from Amazon for $56.27. 5. An 18-piece dinnerware set which is simple and classic enough to look good in every kitchen. Set includes six 10.5" dinner plates, six 7.5" dessert plates, and six 5.5" bowls. The set is microwave-and dishwasher-safe. Get them from Amazon for $31.99. 6. A 42-piece food storage container set that'll perfectly replace all those mismatched takeout containers you've been hoarding. Set includes 21 containers in varying sizes with lids. 7. A 45-piece stainless-steel flatware set — great for hosting a dinner party for up to eight people. Set includes eight dinner knives, eight dinner forks, eight salad forks, eight dinner spoons, and eight teaspoons, plus five-piece serving set: one slotted serving spoon, one serving spoon, one serving fork, one sugar spoon, and one butter knife. Get them from Amazon for $44.99 (available in four styles). 8. A single serve Keurig and 40 k-cups ideal for a Keurig newb looking to become a coffee connoisseur. Set includes a single serve Keurig and 40 K-cups in the most popular varieties. Get them from Amazon for $99.65. 9. A 14-piece knife set with block with a knife to cover every cutting need. Set includes one pine wood block, a pair of scissors, 11 knives (8" chef's knife, 8" slicing knife, 8" bread knife, 5.5" utility knife, 3.5" peeling knife, and six 4.5" steak knives), and sharpener. Get it from Amazon for $22.89. 10. A seven-piece bar set so you can mix up delicious cocktails for family and friends when you finally start to entertain. Set includes 24 oz. cocktail shaker, ice tongs, bottle opener, corkscrew, double sided-jigger, cocktail strainer, stand, and recipe e-book. 11. An 18-piece glassware set perfect for those cocktails you mixed up (or even for non-alcoholic beverages). Set includes six of each 11 oz., 12 oz., and 16 oz. glasses. 12. A starter tool box any home improvement beginner can use while hanging pictures or assembling new furniture. Set includes 12' tape measure, claw hammer, 6-inch slip joint pliers, eight hex keys, ratcheting bit driver, 20 bit attachments, 8-inch scissors, a plastic knife, four precision screwdrivers, and tool box. Get it from Amazon for $17.39. 13. A power tool set for anyone who's interested in taking on more advanced projects around the house, like building your own bookcase or coffee table. Set includes .5" drill, reciprocating saw, 5.5" trim saw, work light, two compact lithium batteries, charger, and carrying bag. Get it from Amazon for $179.52. 14. A peg board garage organizer set to get your garage in order once and for all! Set includes over 10.5 sq. ft. of pegboard, three shelves, and 15 hooks. Get it from Amazon for $90.99 (available in 36 colors). 15. A bundle of bedding basics because you can't go wrong with crisp white sheets. Set includes flat sheet, fitted sheet, duvet cover, four pillowcases, two plush pillows, comforter, and signature detergent. Get it from Brooklinen for $399 (available in six sizes, two sheet types, and four comforter types). 16. 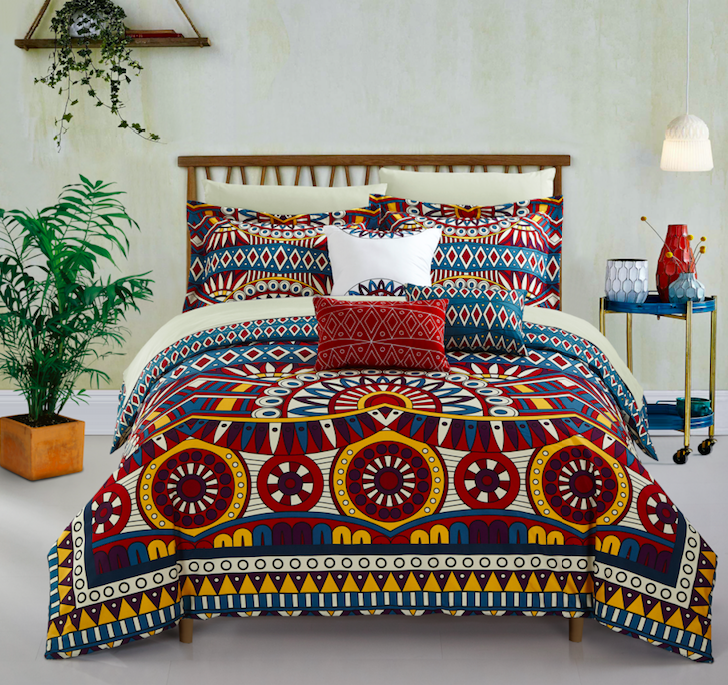 A gray, navy, or patterned bed-in a bag comforter set that'll do the work of designing your bed for you. Items included in the sets vary. 17. An at-home dry cleaner kit that may end up saving you lots of time and money at the dry cleaners. Set includes a garment bag and odor/stain removal spray. Can clean up to six loads/30 garments. 18. A cleaning starter set with everything you need for your new place to pass your mother's white glove test. Set includes counter-safe surface spray, glass polish, cleaning caddy, microfiber filament duster, broom and dustpan set, and mop and broom organizer. Get it from The Container Store for $68.94. 19. A Swiffer bundle will make sweeping and mopping 10x easier. Plus, they're disposable so just toss them when they get gross. Set includes one sweeper floor mop, seven disposable unscented dry sweeping cloths, three disposable unscented wet mopping cloths, a box of 12 wet mopping pad refills with Febreze lavender vanilla and comfort scent, and a box of 48 dry sweeping cloth refills. Get them from Amazon for $54.04. 20. A living room table set to bring your living room together with a stylish design. Set includes a coffee table and two side tables. Get them from Amazon for $118.79. 21. A bamboo bathroom accessories set to give your bathroom a spa-like look an interior designer would approve of. Set includes waste basket, tissue box over, toothbrush holder, soap/lotion pump, cotton ball holder, and tray. Get it from Amazon for $52.99. 22. 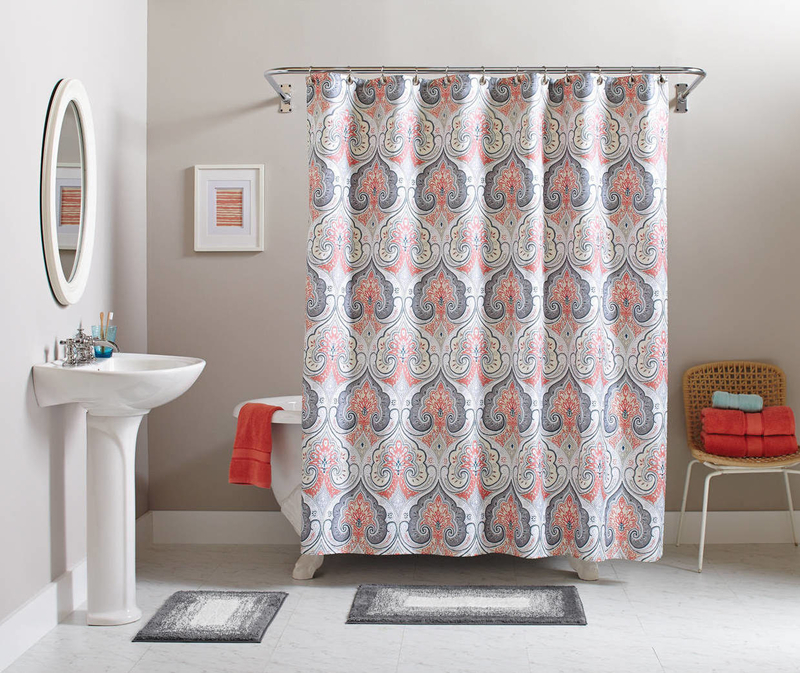 An 15-piece turquoise, gray and pink, or medallion shower curtain and bathmat set that'll bring your bathroom to life with just one purchase. Sets include a shower curtain, 12 curtain rings, and two bathmats. 23. 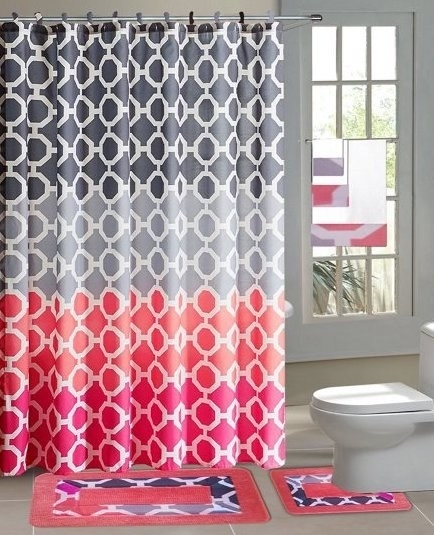 A set of eight towels in 13 fun colors for matching any shower curtain you choose. Set includes two bath towels, two hand towels, and four wash cloths. Get it from Target for $59.99 (available in 13 colors). 24. A diffuser and essential oils starter set to experience all the benefits and zen without having to research tons of different essential oils. Everything is put together for you! Set includes diffuser and eight essential oils. 25. A desk organization set because an organized desk will help you be *way* more productive. Set includes two stackable letter trays, one medium accessory tray, one two-compartment silicone tray, one pencil cup, and 12 ballpoint pens. Get it from The Container Store for $64.94 (available in nine colors, pieces also sold individually). 26. A closet starter kit to make your closet look like you hired a professional organizer. The kit for 4' to 6' wide closets has approx. 120" of hanging space and 120" of shelf space. The shelves are 12" deep. Get it from Amazon for $73.99+ (available in two sizes). 27. A closet organization accessories set which will make your closet work better for *you*. Set includes 8-shelf hanging organizer, 10-shelf hanging organizer, 24-pocket shoe organizer, and two drawers. Get it from Bed Bath and Beyond for $28.99+ (available in four colors) or Walmart for $29.26+ (available in three colors). 28. A gardening set so you can finally try growing that backyard garden you've been dreaming of. Set includes trowel shovel, rake hoe, weeder, spade, cultivator, pruning shears, watering spray bottle, gardening gloves, and carrier tote bag. 29. A makeup brush set to equip your vanity with everything you need to achieve Pinterest-worthy glamour! Set includes 10 makeup brushes, one makeup sponge, and one brush cleaner. 30. A set of 13 cleaning brushes for reaching every little crevice of your home. Warning: You'll be surprised and grossed out by all the gunk hiding in those hard-to-reach places. Set includes 13 versatile brushes for cleaning baby bottles, water bottles, keyboards, window blinds, air vents, and everything in between! Get them from Amazon for $13.35.